When is it appropriate to root for the loosing team? Ammar Alshukry and myself discuss Lebron vs Toronto Raptors, and when it’s time to leave a team. I received the following message:On the subject of video recording, I was hoping to ask you a question about audio. I'm wondering when you record an interview, a podcast style show with two mics, do you keep both running when you edit? For example, do you allow both tracks to overlap each other or do you silence one speaker while the other is talking to prevent echo?I recently produced a few videos for an upcoming chat show. As I'm editing them, I notice the rode boom mic sounds way different than the lapel mic on the guest.Is this is mainly due to the studio not really being that great for audio?For episode 1, the spillover was barely noticeable. But for these last 2, the difference is such that I've had to go through and silence a speaker while the other is talking due to the echo.But, because one mic is so echoey, when I come in just to say something like "mmmhmmm, yeah.." you can clearly hear it. It's annoying and difficult to silence each person during moments when we speak over each other.In this episode I share my process, different types of microphone, audio editing, and what microphone to get. I spent the better part of the last couple months going through a podcast series called "The Body of Knowledge" by Kenny Kane and Dr. Andy Galpin, and produced by Josh Embree. One of the things I love about the science of health and fitness is that not only does it directly connect with martial arts and human performance. But, it also metaphorically and allegorically translates into business and life.However, a lot of stuff that's put out there takes strong positions on ideas while not taking into consideration science as simply a means of reducing uncertainty, and not the means of truth itself. This podcast series, the two volumes they've published thus far, is currently the best series out there on the subject of health and fitness. As they describe it on their website, http://thebodyofknowledge.com, The Body of Knowledge is a serialized podcast featuring stories from the intersection of science and fitness. Each story is born in a conversation about quality of life and incubates until it can grow into actionable insight. The show is hosted by former comedian and lifelong human performance coach, Kenny Kane and Professor of Exercise Physiology at CSUF, Andy Galpin. The show is produced in volumes and chapters are released upon completion. Although the subject matter is around health and fitness, every episodes has gems and lessons that carry over into personal and professional development, marketing, branding, and reputation development. This episode goes into the actual narrative of The Falcon of Spain as told to us by Abdulrahman b. Muawiyyah.History calls him by many names, among them is also Saqr Quraysh. Leave me a comment below letting me know if you like this series or not.“The Falcon of Spain” is the story of a Syrian refugee who fled his home and came to the west because he was driven out by invaders wielding black flags. When he later rises from exile to lead his people in 8th century Spain, he will have to choose between seeking vengeance or establishing justice. This is the first of several recordings for The Falcon of Spain, a narrative as told to us by Abdulrahman b. Muawiyyah.History class him by many names, among them is also Saqr Quraysh. Leave me a comment below letting me know if you like this series or not.“The Falcon of Spain” is the story of a Syrian refugee who fled his home and came to the west because he was driven out by invaders wielding black flags. When he later rises from exile to lead his people in 8th century Spain, he will have to choose between seeking vengeance or establishing justice. Continuing from the previous episode, the audience goes into discussing the impact of Islamophobia and how to counter that with our own stories and contributions to society. This episode is a presentation that I gave to a group of community leaders who have a "Meet the Professor" event locally in Houston. This time around they requested that I present. I put together a presentation on the subject of identity where I go into branding, personal identity, and leadership. How all that must be considered when it comes to public relations and mass communication. I share several case studies breaking down the mechanics of propaganda and how we can protect ourselves from it. We share a bit of Ottoman history and conclude with a workshop on how to lay down the groundwork for ourselves to best share our stories. The only way to grow is to challenge yourself and your limits. If you're not growing, then you're decaying. Sometimes we simply need a spark. So light a fire under yourself and start a 30-day challenge, or maybe a weekly challenge that you're committing to for a period of time. In this episode, I share some specific tactics to get you off the ground. There's as concept of getting all your ducks in a row and then take an action.But when you're in a situation of Entrepreneurship and or simply making progress is not about having everything or having all your ducks in a row but simply moving forward periodIt doesn't have to be perfect it just has to get going.We all have a ton of ideas. But many of us don't take the action that is required to win.Regardless of what excuses we give ourselves whether we think we're not ready or the plan isn't perfect, perhaps we can call it the mindset of the engineer vs the salesman.The salesman attitude is let's just get it done. Just do it and we'll figure it out along the way. The engineer is like, no let's figure it out first over that we don't make mistakes.If you're working on a Grassroots level or if you have an idea and you simply want to run with it, then don't worry about planning and just go.Have a concept in mind, a vision, and run with it.If you have a concept in mind that you don't have to be perfect just get going.This is not going to be your first rodeo nor will it be your last unless you choose for it to be.If you don't know if you want to do this again then that's ok too. Experience the adventure and then decide whether or not you want to do it again.Try it. If you don't like it then don't revisit it. However if you enjoyed it then do it again.Don't prevent yourself from an experience or an adventure just because your Ducks aren't in a row.This is why startup businesses and revolutionary movements don't typically have people with an engineer mindset going in. These people simply start and do, and when something is built they bring in the engineer to optimize.What matters is that you put yourself out there. You made something. Maybe it's received well. Maybe it's not. If it's not received well then that's okay. Go ahead and try again.Keep on firing.This is the reality of life. You have to fire first so that you can see how you hit. You then make an adjustment and Try Again from there. I'm part of a closed Facebook group that features startup entrepreneurs from around the globe. One of the questions that came up was about online video and getting serious with it.The following is the post in the group that I address.As you know video content is king. I'm starting to be serious about creating video content. Well it’s requires some planning to avoid headache later and have a smoother ride.Sure, there will be challenges but key is to be able to mange them.A lot of times when you ready to record, things we don’t think about become obstacles and cause us to procrastinate. It becomes just another excuse to delay it for another day.One excuse is not having the right hardware. In particular, lights! Lights! Lights!If you have a decent camera, even with the phone camera you can get some nice video. Even if you have a high-end camera the lights can make or break your video.The quality of the video really requires good lighting Period.Here is what I consider when it comes to lighting: Not bulky Portable Easy setup and breakdown Wireless/Chargeable and with wire Good light Reasonable priceI’ve been reading Amazon’s reviews and it can be overwhelming. Which ones should I buy? !This statement makes a lot of assumptions. I figured I'd address all of them here. Many startup projects and ventures experience difficulty when getting their story straight. Branding and storytelling isn't always easy. 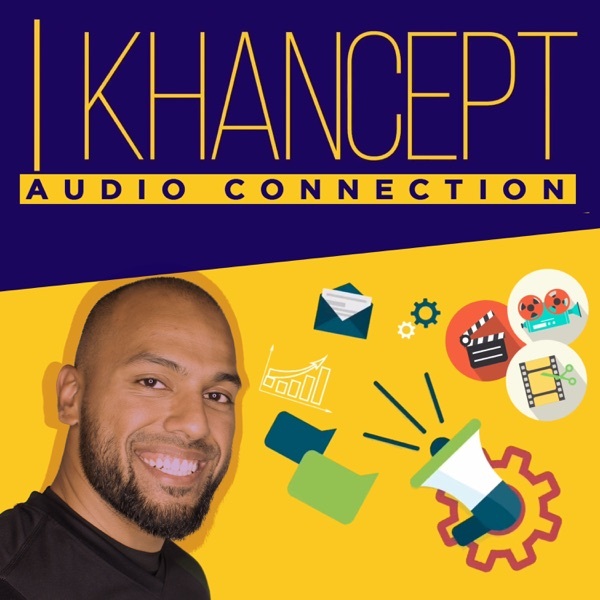 This podcast episode is an excerpt from a conversation where I was sharing some advice with a prospective client on a project that they were starting. Ever wonder what goes into writing sales copy and advertising copywriting for seminars? Here are some tips to help you with that. What's the importance of having a personal brand? What should one care who you are and what you do? As a marketing professional, what do you do for your clients? How do you generate demand and business for them? What does it take to get started with personal branding? Is it for everyone? Who shouldn't personal brand? Do you need a personal brand to be successful in business?